I know I’ve been posting a lot of videos lately, but this one on Trends in Web Design, I found really interesting, and I’m enjoying sharing what I find that inspires me to do great new work. While the web is a graphical medium, and a lot of the design elements from Graphic Design carry over, Web Design is subtly different, with the graphic design making only a part of the overall design. Since you have to integrate into your design the fact that different information and images will be displayed over different pages, and you have to take into account elements such as navigation into the whole design. Well the below video has definitely inspired me, but I’m torn between elements such as including Vibrant colours, Gif’s, and others, I wonder if I can merge them all together into something stunning. Makes me wonder if maybe this site needs a redesign. I hope you enjoy the video, and if it inspires you to do anything interesting then get in touch and we can discuss it. 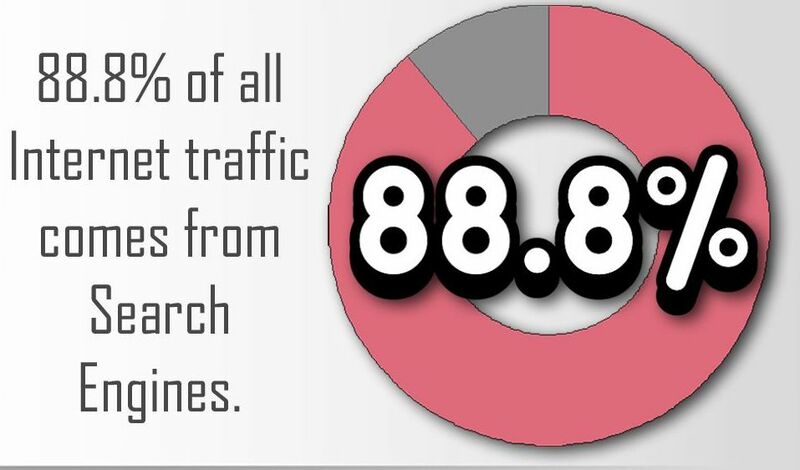 88.8% of all Internet traffic comes from Search Engines.